Category: Spillage Containment & Control. A range of general purpose rolls supplied in convenient dispenser boxes or in poly bags. Perforated for easy tearing. 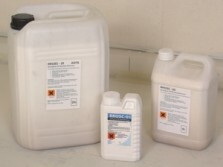 Suitable for oil, some chemicals and general purpose fluids.